We offer our clients a wide range of Computer Stationery Printing Service which is widely demanded in various commercial sectors and government sectors. 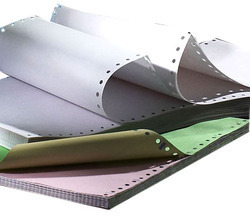 Our company deals in diverse range of Computer Papers such as Blank, EZR and Pre-printed range of stationery. Our professionals make use of modern machines in order to ensure flawless finish and high quality of the stationery. These products are rendered by us at most affordable rates as per the specifications provided by clients. 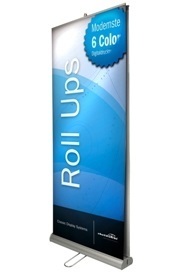 We are one of the leading manufacturers and suppliers of a qualitative range of Computer Continuous Stationery. These are manufactured using excellent quality basic material and advanced machinery in order to ensure their unmatched quality. The offered range is well-known among clients due to its smooth texture, fine finish and Eco-friendliness. Apart from this, these are quality-tested on varied parameters in order to ensure their conformity to the international standards. The offered range can be availed by clients from us at the most reasonable prices. Computer forms printing at Top Worth Advertising is high quality of computer forms, invoice, vouchers, continuous forms printing and delivering throughout the UAE at really affordable price. We customize and print invoice, sales order, receipts, delivery order and packing lists to agreements, contracts, estimates, proposals, stamens and all other ncr forms. 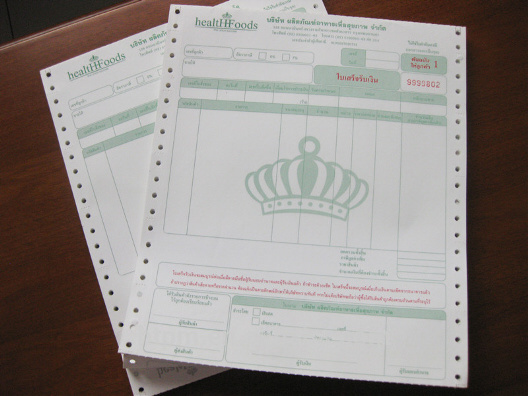 High quality forms are the best option to use in all Dot Matrix and other printers. Sahara offer ultimate quality and solutions in your all computer forms needs. We offer a comprehensive range of Pre printed continuous computer stationery Printing Service that is widely used in the executive printout and is manufactured using paper high in terms of quality and reliability. Our company makes use of latest printers in order to ensure the impeccable quality of these products. We offer the stationery in various shapes and sizes as per the requirement of the clients and we also provide printing of companies name, logo or any other important detail as per client’s requirement.